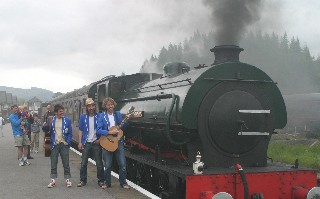 Leeds band and Glastonbury veterans, Hope and Social, will busk their way from Leeds to Grassington this Saturday (23rd June 2012) as part of Grassington Festival‘s Public Transport Day. Bring some change and an instrument for Hope & Social to play, to help them on their way. To raise awareness of the many exciting ways to travel round Yorkshire without a car, the journey will include both bus and rail trips, including a section of the Embsay to Bolton Abbey steam train. 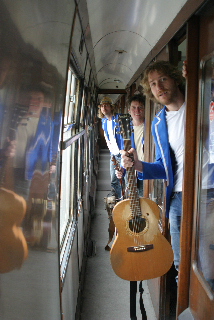 Travelers can join Hope and Social at any point along the way to hear them play live and busk for their fare! Full journey details and ticket information is available by clicking here. The final destination will be Grassington main square, where there will be a variety of incredible street performances and activities – all completely FREE and open to members of the public to enjoy. 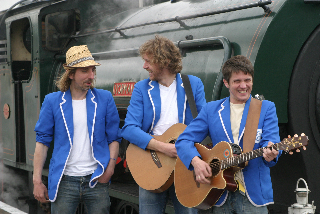 Other performances on the move this Saturday include The Story Peddler, who will be entertaining audiences across 5 journeys, departing from Skipton Bus Station at 11.05, 13.05 and 15:05 or departing from Grassington at 11:50 and 13:50. Each journey will last just under half an hour. 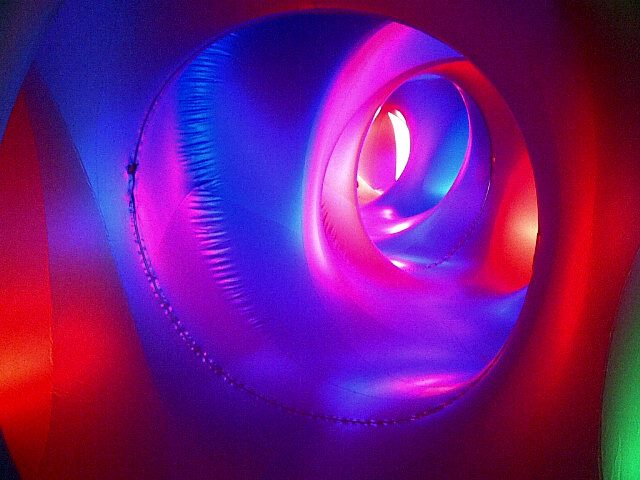 Exxopolis, the awe-inspiring new luminarium by Architects of Air, is also at Grassington Festival all this week for visitors to explore, following its world premiere earlier this month. A luminarium is a beautiful light and sound maze sculpture that people can wander around in to experience a real sense of wonder. This year, in celebration of its 20th anniversary, Architects of Air has created Exxopolis, the 20th luminarium. The pièce de résistance of Exxopolis is the main dome, which is surrounded by 10 incredible ‘stained glass’ windows, rising over 7 metres off the ground. The windows are composed of over 3,000 pieces of plastic, assembled to a design based on Penrose tiling. 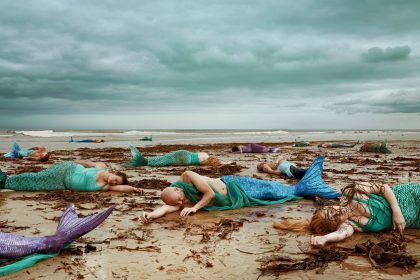 Click here for workshop tickets and booking information. Grassington Festival is also running a late night bus service this year. The service departs from Grassington village square at 10.45pm, and takes travelers to Skipton in time for the last train home to Leeds. The late night festival bus service is running every night of the festival, with the exception of 30th June. Grassington Festival is working aongside Dales Integrated Transport Alliance (DITA) and Pride of the Dales to make this service happen. The festival has always been committed to long-term sustainability and supporting the local community. It is hoped the late bus service will reduce the number of cars around Grassington during the festival period. Click here to read Grassington Festival’s new sustainability policy.